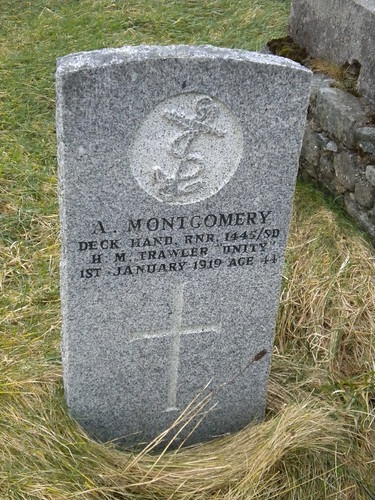 Husband of Mary Ann Montgomery, of 2, Garyvard, Lochs, Stornoway. Had served as a soldier in the South African War for which he held several medals. Angus was one of the children of Kenneth (1838) and Margaret (1842), the others being Alexander, Catherine, Donald (1880), Flora (1864), Isobel (1877), Kenneth (1864), Mary (1868) and Torquil( 1870). Angus was the father of Alexander, Angus John, Ann, Catherine Ann, Donald, Isobel, Kenneth and Margaret.